Show all of the moms in your life how much they rock your world by giving them a new way to show off their favorite photo prints! 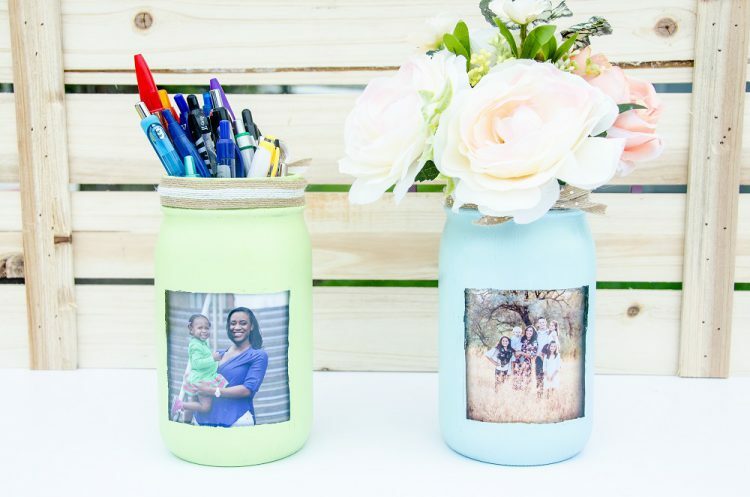 Both of these projects are fun and family-friendly, so get the kids together to create a photo flower vase or a school photo wall display that mamas will love to show off! Flowers bloom and flowers fade, but this creative photo jar will last forever! 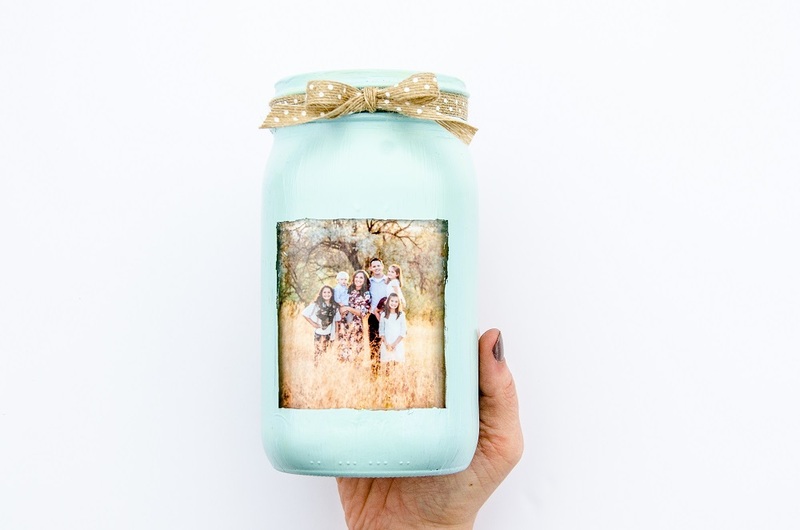 Mom will love having a new way to show off her favorite family pictures. 1. Choose your photo print. 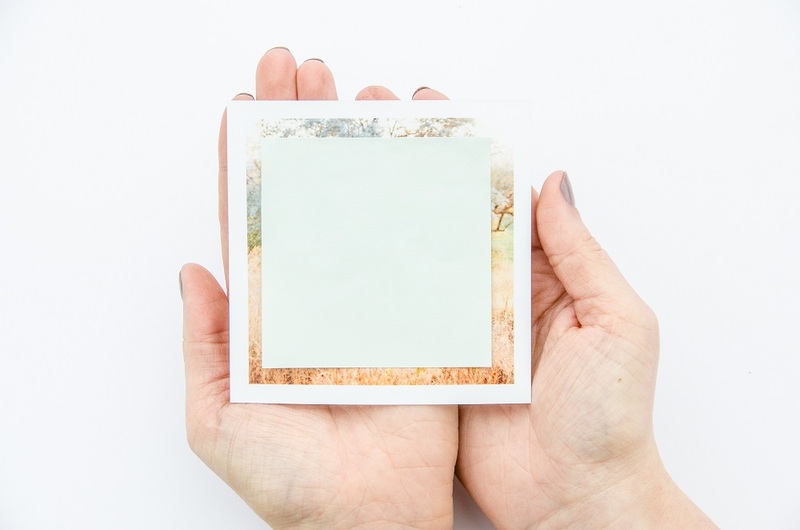 Cover the photo print with the post-it note to make sure the important parts of your photo will show through the mason jar after it’s been painted. Stick the post-it note on the outside of the jar. Use double-sided tape on the back of the post-it note to make sure the edges stay put while you’re painting. Take the top of the jar off and set it aside. 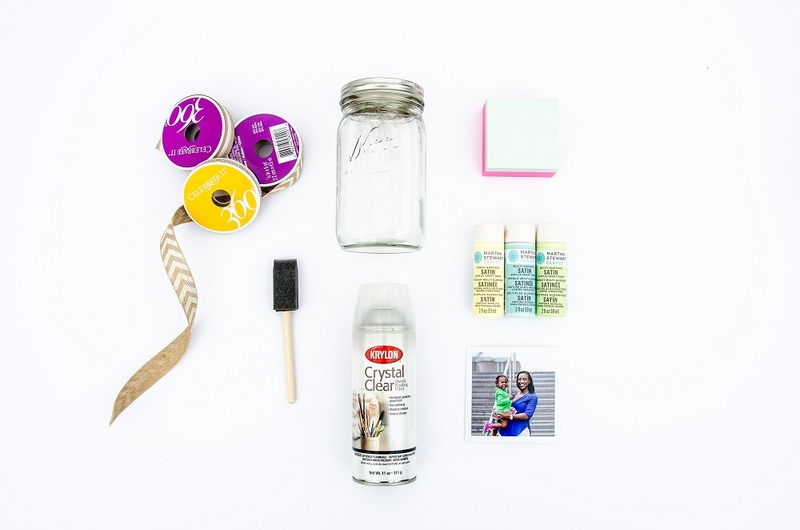 Using the foam brush, paint the outside of the mason jar, including the top (where the cap would usually be). Let dry. Add another coat, if necessary. 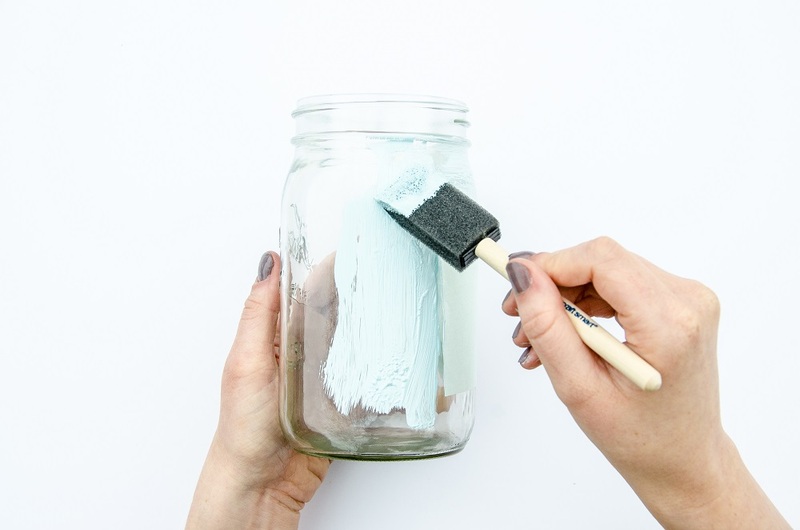 Once both coats are completely dry, coat the entire jar with a layer of clear spray paint. 3. Place your print inside the jar. 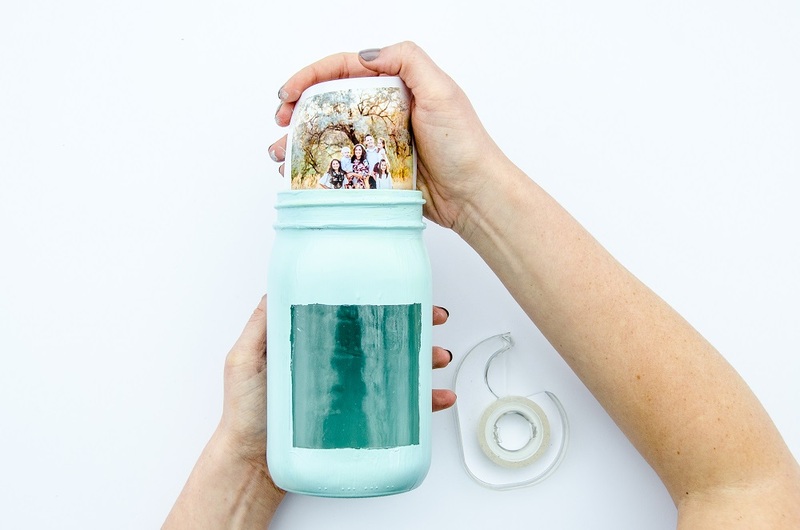 Using a few pieces of clear tape, adhere the photo print to the inside of the jar, so that it can be seen through the unpainted square. Tie a decorative ribbon around the top of the mason jar to give your mason jar a little bit more style. 5. Toss in the good stuff! Once the jar is complete, fill the jar with her favorite pens, paintbrushes, fresh flowers, or a sweet treat. Voila! A perfect, homemade gift that Mom can bring with her to work or show off at home! 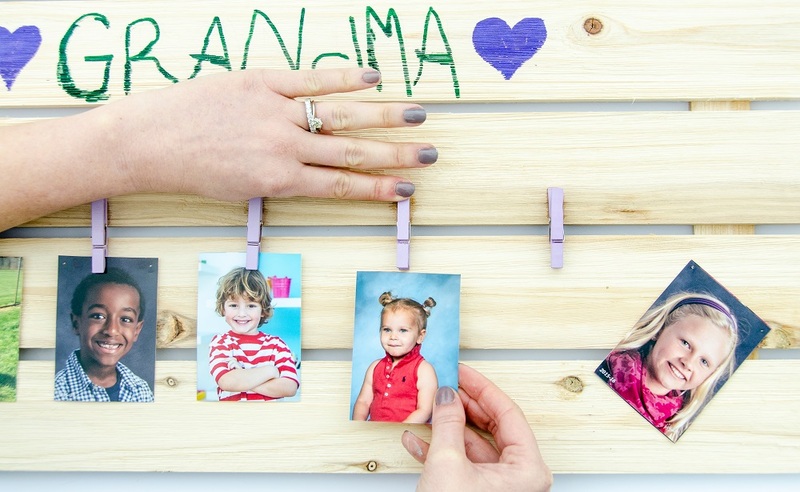 If your Grandma is anything like ours, she loves collecting her grandchildren’s school photos! 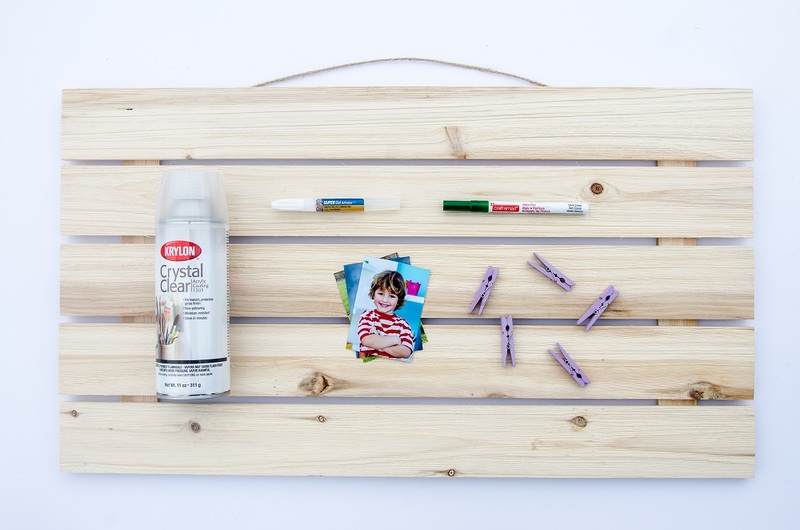 A homemade brag board is a great way to show off wallet-sized photos from school picture day, sports games, or dance recitals. The best part? She can replace last year’s photos with this year’s in a snap! 1. Write your message on the board in pencil. Once you know what you’d like to write on the sign, lightly outline each letter in pencil. That way, when you go back over the text with a paint pen, you’ll be less likely to need a do-over. Not sure what to write? 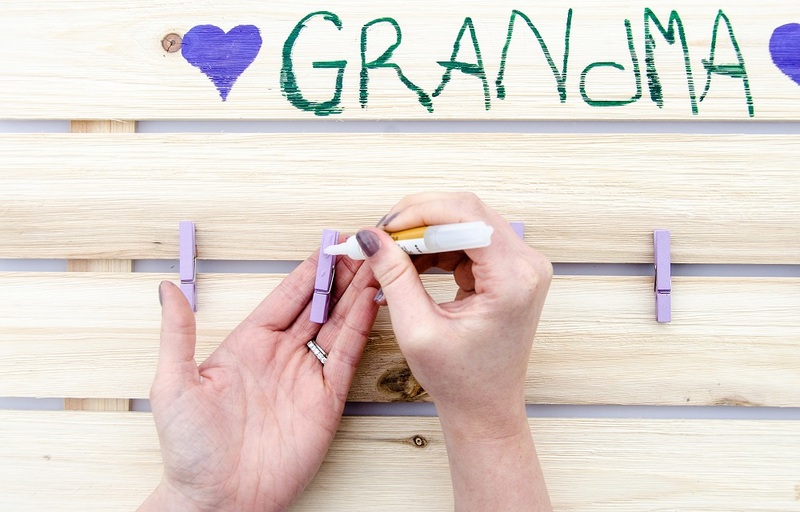 Keep it simple, like we did (“We love you, Grandma!”), or use one of these inspirational quotes about grandmothers. 2. Trace over your message using a paint pen. 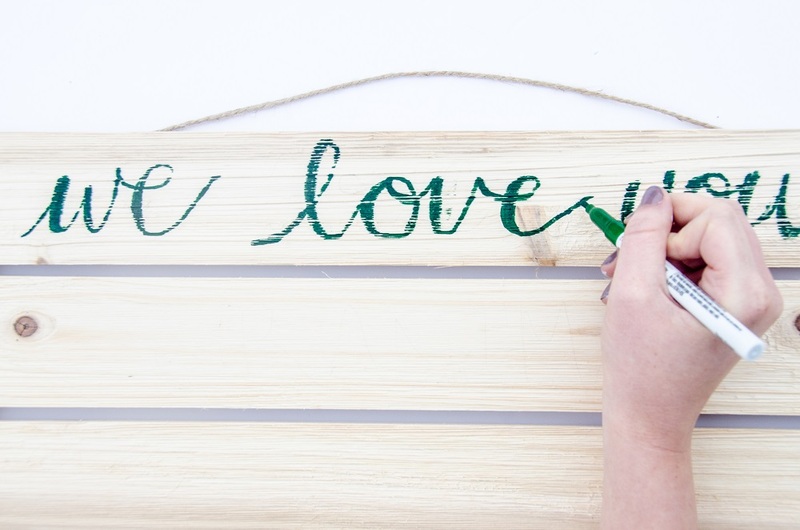 Once your message is complete (and dry), spray the board once with clear spray paint to protect the paint job. 3. Glue the mini clothespins to the bottom of the board. Set aside as many clothespins as there are grandchildren. Space them out evenly along the bottom of the board, making sure to leave room on either side for any potential future additions. Use the superglue to adhere the back of each clothespin to the board, facing down. Press down firmly on each clothespin for a few seconds to make sure it stays in place. 4. Clip your wallet prints to the bottom of the board. That’s it! 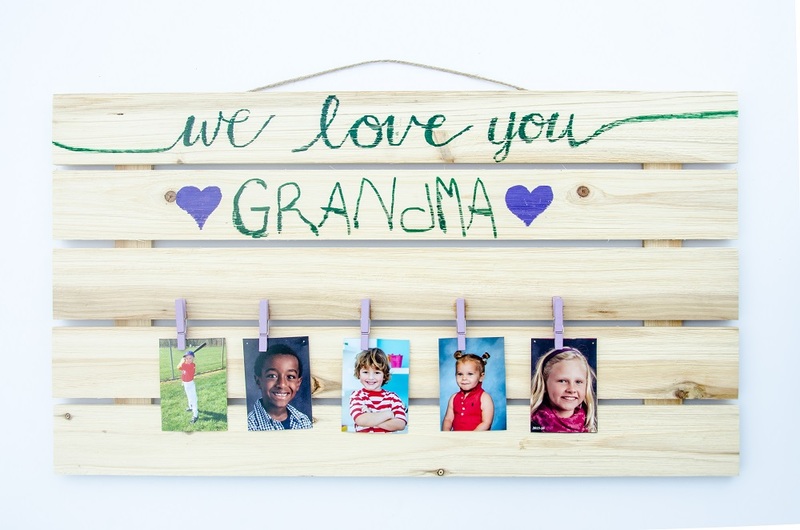 In less than 30 minutes, you’ve created Grandma’s new favorite piece of custom artwork. Special thanks to Amanda McMahon Photography & Katriel Abbott Photography for the images used in this project. What are some of your favorite Mother’s Day crafts to do together as a family? Share them below or tag us on Instagram by using hashtag #nationsphotolab. 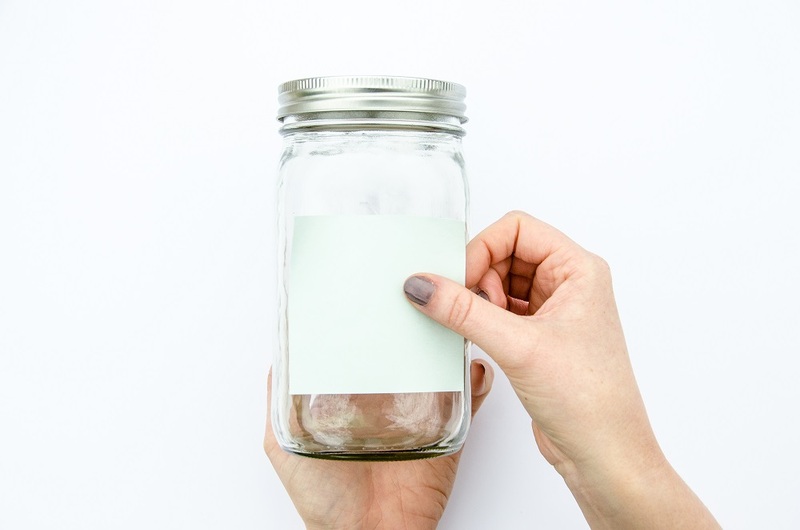 Do you spray paint the jar before or after removing the post-it? We spray painted the jar before removing the post-it!